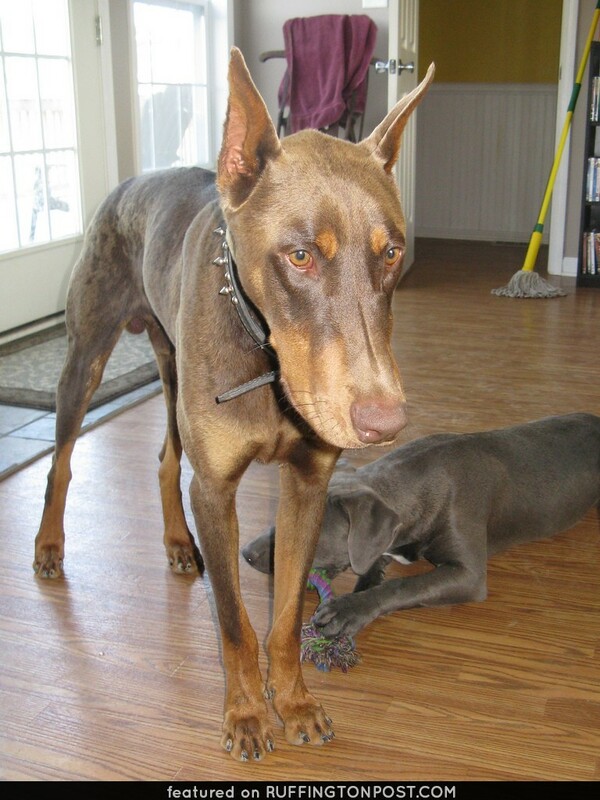 Check out the face and huge smile on this Doberman Pinscher! 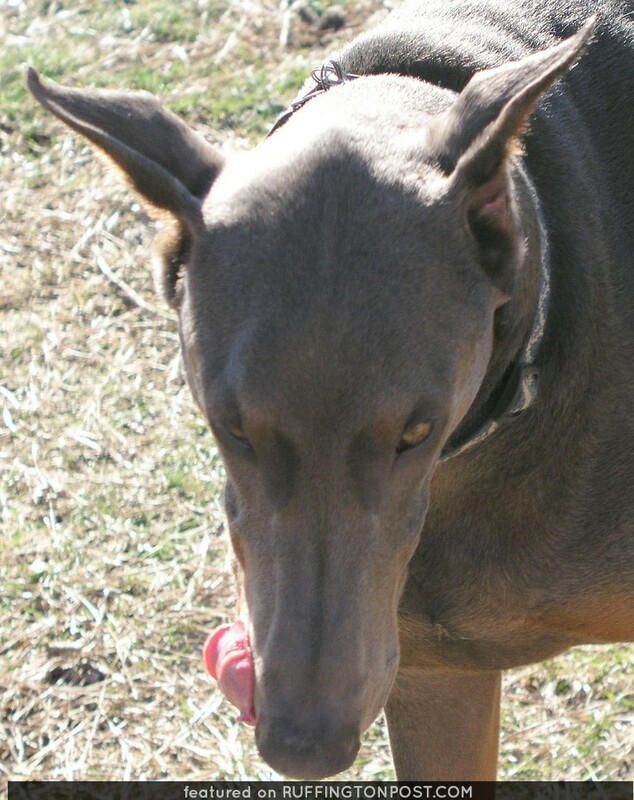 He sure is one happy Dobie. 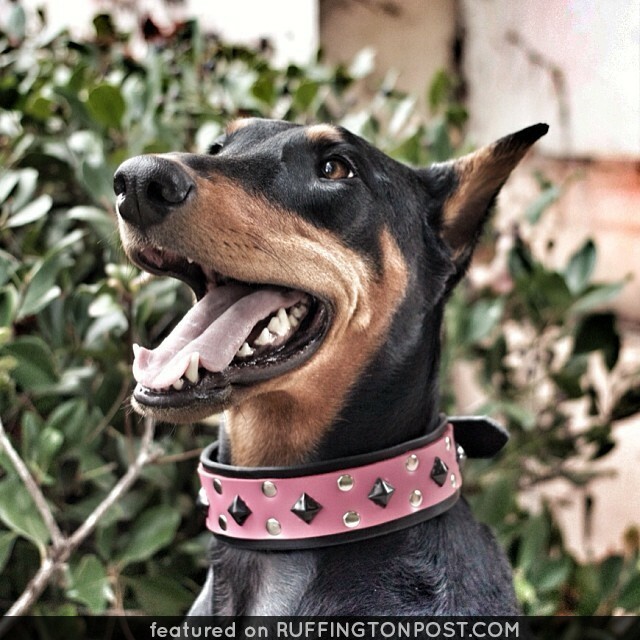 Does your Dobie smile?